Noah Syndergaard will be taking on a stacked Phillies lineup while the Mets try and continue to put up runs of their own. Aaron Nola is currently 1-0 with a 6.46 ERA while Syndergaard is 1-1 with a 4.74 ERA. 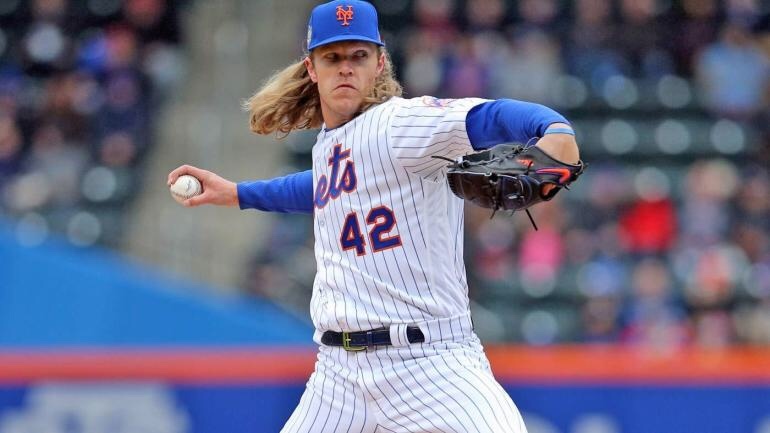 Syndergaard’s last outing was against the Minnesota Twins at Citi Field, he went on to pitch 7 innings of great baseball before he gave up a 3-run home run in the eighth. He still ended up with the win and struck out seven batters. His outing before that was against the Nationals, he pitched 6 innings of one-hit baseball and struck out six while giving up just two runs. It’ll be interesting to see how the offense fairs in Philadelphia’s tiny ballpark, the Mets are fourth in Major League Baseball with 91 runs while the Phillies are currently ninth. The Mets have been scoring just a touch over six runs a game while playing in pretty spacious ballparks, the Phillies score 5.6 runs a game.